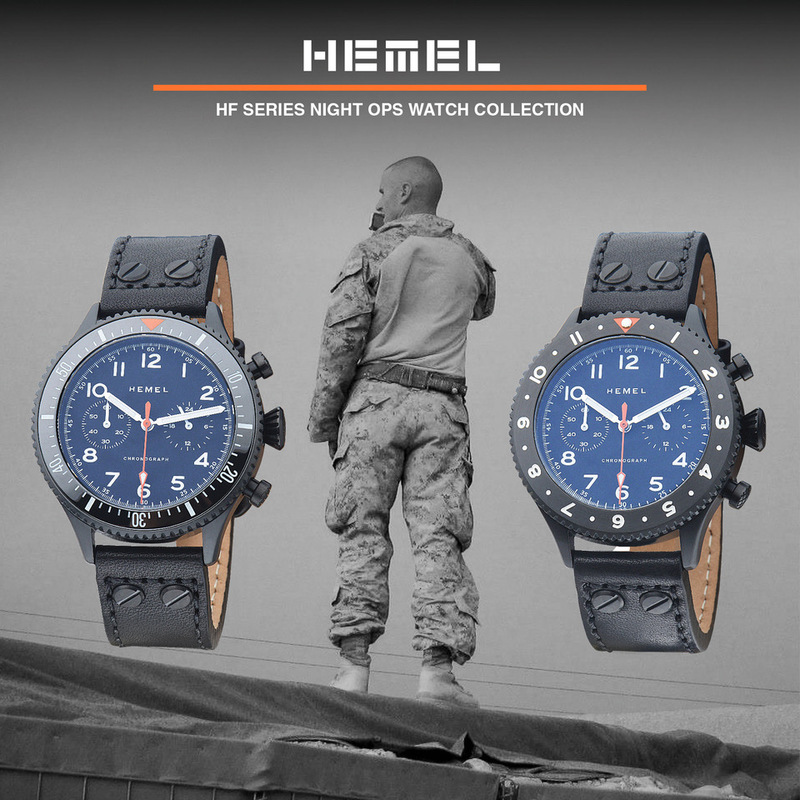 The year is almost over, but if you still have a few bucks left, there is still time to order another watch or two before 2017 limps across the finish line. I've already told you about the Straton Speciale, Borealis Portus Cale, and Reverie GT, but here are a few more that caught my eye. Enjoy. 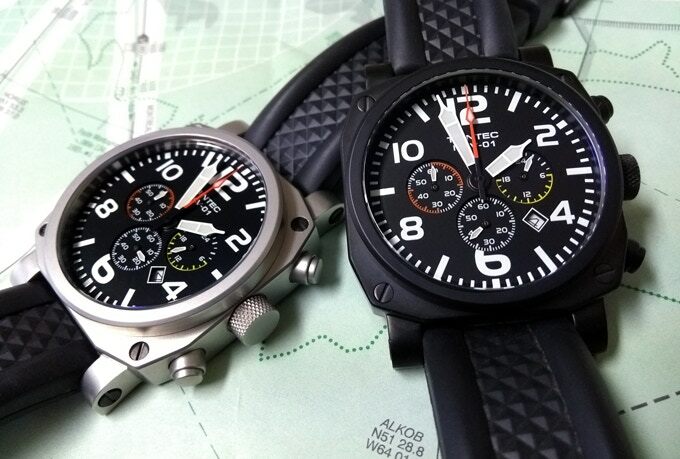 From Oakland, California, we have Bespoke Watch Projects and their appealing 72 Flyback Chronograph. This 43mm chrono has a Seiko VK64 MechaQuartz movement and a clean face that is free of text or clutter with only a discrete three-roundel logo for brand identification. I dig the domed, AR-coated sapphire crystal and the semi-recessed crown and buttons. A watch with two leather straps and a sliding travel case starts at $270. If this is too steep for you at this cash-strapped time of year, you should at least consider their dandy ETA 6497 t-shirt for $30. 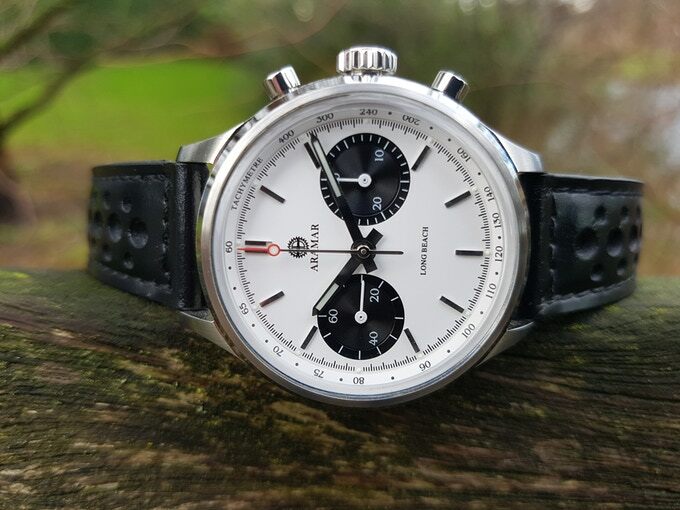 The 72 Flyback Chronograph Kickstarter campaign ends January 3. 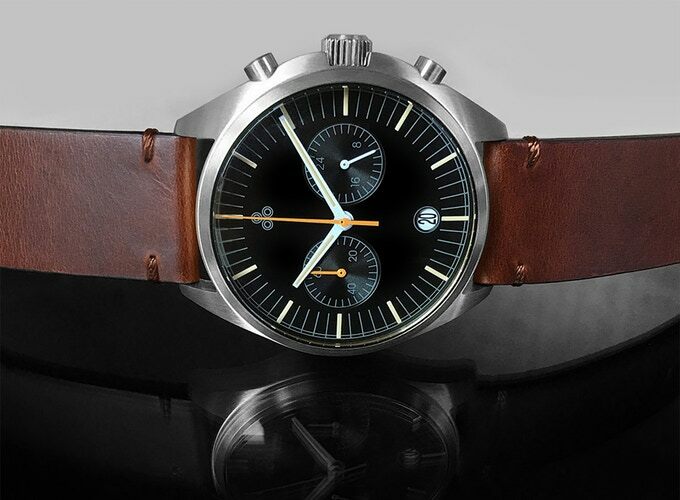 Clockwork Synergy, the Maryland strap supplier, has now cooked up a handsome and inexpensive three-hander. 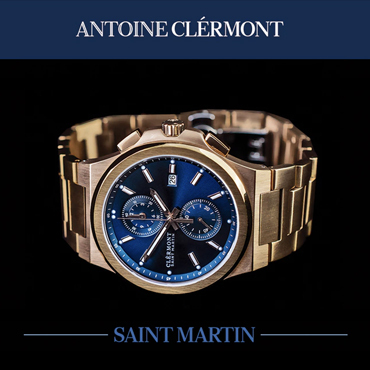 The watch is 40mm wide, 8mm thick, and runs a Swiss Ronda 705 quartz movement. 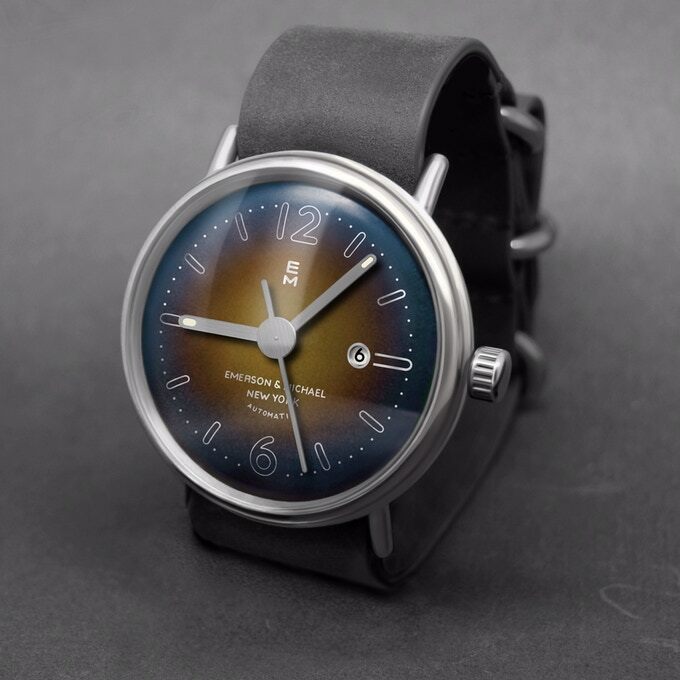 Fellow Maryland microbrander Alan Tsao collaborated on the design, which features applied numerals and hour markers, a double domed sapphire crystal, a sandblasted case, and a contrasting second hand. 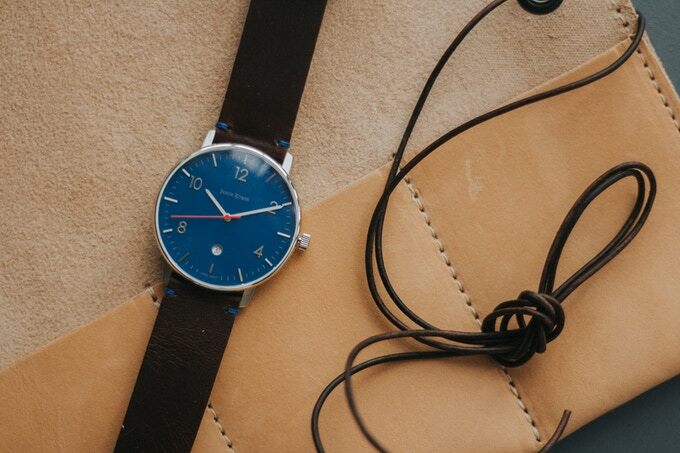 As you might have guessed, the strap is something special; handcrafted Horween leather with an eye-catching blue minimal stitch, quick-release pins, and a signed buckle. As if this weren't enough, they are shipping it in a handmade, four-pouch, leather watch roll. It's a tidy, tasteful package (I particularly like the "JE" blue dial) and it can be yours for a $124 pledge. That is a crazy bargain. Rolls and additional straps are also available separately. The Jaxon Edwin Kickstarter campaign ends January 1. NYC-based Emerson and Michael have rolled out a sweet little debut watch. Check out the line-drawn markers and numerals, the fat disk grounding the second hand, and rounded tips on every element. The typeface and layout of the text in the lower half looks like it could have been printed in the 1940's. Finally, they offer a selection of outrageous ombre dials. This 40mm throwback comes in stainless steel, PVD gold, or bronze cases, and with a choice of automatic movements: Miyota M821A (starting at $249) or ETA 2824-2W (starting at $389). The Emerson and Michael Kickstarter campaign ends January 8. Canada's Trintec Industries is no stranger to instrument style watches, so it is no surprise that they have another cool one available for pre-order now. 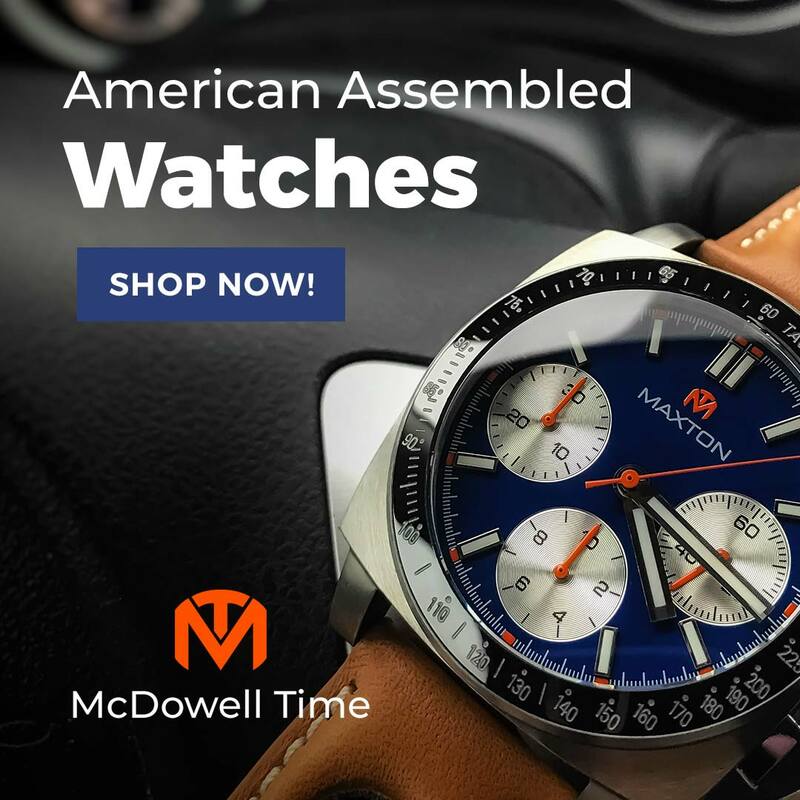 The NAV-01 Chronograph is a bold 42mm square with a brightly lumed, high visibility dial, and a triple-register Miyota OS-20 quartz under the hood. This watch is ready to get out there and get dirty. 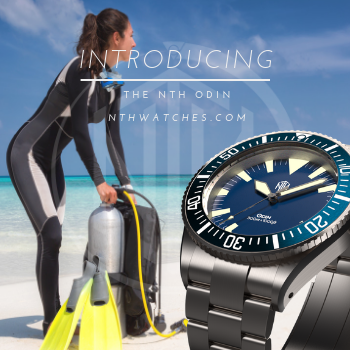 It is rated for 100M water resistance, has an AR-coated sapphire crystal, and its rubber strap is secured with sold, screwed in wrist pins. The NAV-01 is still available for $255 CAD (about $201 USD). The Trintec NAV-01 Kickstarter campaign ends January 13. From the Netherlands comes the Aramar Long Beach, a 38mm chronograph powered by a SeaGull ST-19 automatic movement. This sporty, panda dialed beauty features applied markers, pie-pan subdials, C3 SuperLuminova, a domed acrylic crystal, and a view of the nicely decorated movement through the exhibition case back. I really appreciate the sensible size and retro racer vibe of this one. Early Bird rewards are still available for just €295 (about $350 USD). The Aramar Long Beach Kickstarter campaign ends January 10.